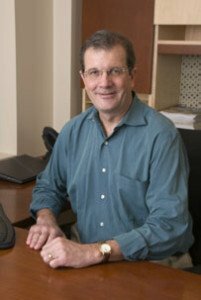 Dr.Wexler is the Higgins Professor of Neuropsychology in the Dept.s of Neurology and Psychiatry of the College of Physicians and Surgeons at Columbia University, as well as the President of the Hereditary Disease Foundation. One morning in 1968, Dr. Nancy Wexler’s mother, Leonore Wexler, had jury duty in downtown Los Angeles. As Leonore crossed the street on the way to the courthouse, a policeman yelled to her, “How can you be drunk so early in the morning?” Leonore realized that she had been staggering – an obvious sign that something was wrong. Soon after, Leonore was diagnosed with Huntington disease (HD). 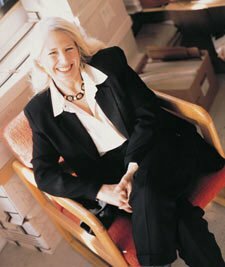 Nancy Wexler, who was pursuing a PhD in clinical psychology at the time of her mother’s diagnosis, devoted her life to the study of HD. In 1979, Wexler and her colleagues began a research project in Venezuela to search for the HD gene. They surmised that finding the gene was the most direct route to the development of treatments, even cures! They developed a pedigree of over 18,000 individuals and collected more than 4,000 blood samples from the largest extended family with HD ever to have been discovered. Their data led to the identification of the gene responsible for HD. Today, Wexler continues her involvement with HD as the Higgins Professor of Neurophysiology at Columbia University, and as President of the Hereditary Disease Foundation. At the November 2011 Huntington Study Group meeting, Wexler told HD Insights about the series of events that led to the discovery of the gene responsible for HD. Wexler collaborated with Dr. David Housman to organize a workshop at the National Institutes of Health to discuss the feasibility of finding DNA markers for the HD gene. “There were very prestigious scientists at the workshop,” Wexler says. It was the early 1970s. A big question was, “How are you going to go from here to the moon if you don’t even know where the moon is, and you have to build your own spacecraft?” Additionally, genetic studies were difficult – all restriction fragment length polymorphisms were hand-crafted. Polymerase chain reaction had not yet been invented. Wexler continues: “At the workshop, there were lots of arguments about how many markers you needed to evenly cover the genome. We had to hand craft each marker and find enough to evenly cover the human genome. And everybody talked about families. The criterion for a family critical for gene mapping was a very large family in which you had both grandparents, both parents, and 10 or 14 kids.” At the time of this workshop, such an HD family was believed not to exist. Some in attendance at the workshop even told Wexler it was unethical to publicly announce that a search had begun for the HD gene. They estimated a realistic timeframe for HD gene discovery was 50 to 100 years. Negrette realized that the woman was correct. He began to write up cases and make pedigrees of individuals from San Luis and its neighboring villages around Lake Maracaibo. He concluded that the people had HD. Negrette and colleagues made a video of the affected people in the villages and presented it at the 1972 World Federation of Neurology Research Group on Huntington’s Disease. Nancy and her father Milton Wexler were both in the audience. Negrette’s video presentation and data were central to Nancy Wexler’s determination that she should travel to Venezuela to study HD. With the support and guidance of Negrette, in July 1979, Wexler and colleagues began a search in Venezuela for a person who was an HD homozygote. Her search for a homozygote was inspired by revelations in familial hypercholesterolemia. Wexler explains, “The godsend was that Dr. Michael Brown and Dr. Joseph Goldstein had found the gene causing familial hypercholesterolemia by studying homozygotes for the gene. Without the normal protein, it was more obvious what the abnormal protein was doing.” Wexler and her colleagues began compiling pedigrees and collecting blood samples from HD families. She and colleague Dr. Tom Chase eventually found many children with juvenile HD in a small stilt village in Lake Maracaibo. One two-year-old child had a “giant expansion of 109 CAGs – a very dramatic expansion.” Wexler began to collect blood samples from “all these layers and layers and layers of families, from great-grandchildren all the way up.” Homozygous families and the children with juvenile HD were both essential to finding the HD marker and the gene. 1Gusella JF, et al. A polymorphic DNA marker genetically linked to Huntington’s disease. Nature. 1983 306:234-238. Isis Pharmaceuticals is a biotechnology company that develops therapeutic agents that target and modulate RNA. Isis’s primary platform is exploiting antisense oligonucleotide technology to selectively reduce the expression of a target RNA. Co-founder and Senior Vice President of Research, Dr. C. Frank Bennett, spoke with HD Insights about Isis’s RNA-based targeting in HD. Edited excerpts from the discussion are below. INSIGHTS: Can you tell us a little bit about Isis? BENNETT: The focus of the company since its inception has been on novel therapeutic agents that target RNA. We use a technology called antisense oligonucleotides (ASOs) that uses short synthetic nucleic acid analogs designed to bind to a target RNA via Watson-Crick base pairing. Once our ASOs bind to the target RNA, they can then be a part of a range of mechanisms to modulate the RNA. 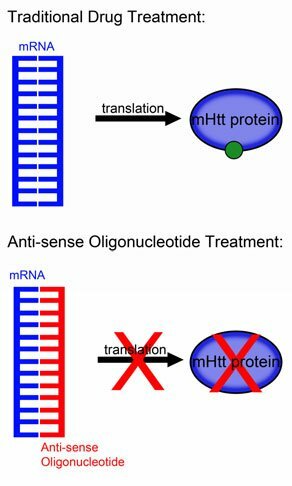 For the Huntington disease (HD) Project, the primary mechanism that we’re exploiting is through an enzyme called RNase H. RNase H selectively degrades the RNA that is bound by the oligonucleotide. Wherever the oligonucleotide binds, it recruits RNase H to that RNA, and the RNase degrades the RNA. The oligonucleotides are then recycled within the cell. This is a novel catalytic mechanism that we are using to very selectively reduce the expression of a target RNA. In this case, we’re targeting RNA that is expressed by the huntingtin gene. INSIGHTS: Since most humans have two copies of the huntingtin gene and in HD-affected individuals only one allele has the CAG expansion, how can you target the production of mutant huntingtin and not wild-type huntingtin? BENNETT: We’re taking several different mechanistic approaches. The most advanced project we are using does not distinguish between wild-type and mutant huntingtin. Our pre-clinical research, performed in collaboration with Dr. Don Cleveland at University of California San Diego, suggests there are no deleterious effects associated with reducing wild-type huntingtin, and published research supports our understanding that wild-type huntingtin protein is essential for normal development before birth, but has a largely undefined role in adults. So we are counting on humans having some tolerance for reduced expression of both mutant and wild-type huntingtin. However, we also have two different approaches that we’re using to get selectivity in case it’s needed. One approach is a project with Dr. Michael Hayden and his colleagues at the University of British Columbia, in which we are targeting single nucleic-type polymorphisms that co-associate with the expanded CAG triplet on the mutant allele. We are able to distinguish a single nucleotide- change, which causes the loss of the mutant allele while sparing the wild-type allele. In our preclinical studies we have been able to demonstrate a greater than 50-fold selectivity of the mutant versus wild-type, based upon that same nucleotide- change. The caveat is that there are a number of haplotypes that all have expansions of repeats, so a single drug would at best treat about 50 percent of HD patients. Multiple drugs must be available to treat all the patients who would be amenable to this therapy. Another approach is to use all the oligonucleotides that bind to the expanded CAG repeat itself. Working with another collaborator, Dr. David Corey, at University of Texas Southwest Medical Center, we have shown that the expansion of that CAG repeat provides more binding sites for the oligonucleotide. Using this technology, we are able to distinguish between wild-type CAG repeat links and the expanded CAG repeat that occurs in a disease. This technology has an advantage that could treat a larger number of patients with a single drug, but there is also concern because other genes have CAG repeats. We are currently working to identify or characterize the risk of the CAG targeting approach versus the polymorphism approach. INSIGHTS: What are the specific opportunities for antisense oligonucleotide therapies for HD? BENNETT: Our technology can be broadly applicable to a variety of human diseases. We have demonstrated that intrathecal dosing results in a very broad distribution of a drug into CNS tissues and can influence expression of mutant huntingtin in the areas of the brain that are affected in HD. INSIGHTS: A number of these therapies you mentioned are further along in development. What is holding back development of therapies for HD? BENNETT: Mainly it is determining the optimal drug to take forward. Clinical trials are quite expensive, and we want to bring forward the drug that has the best chance of being successful in the clinic. We have narrowed down the list to a small number of drug candidates, and we are doing additional studies to characterize the behavior of those candidates in our preclinical studies. Our hope is that we’ll have that completed by early next year and then start the process of doing the toxicology studies that are necessary to bring that drug forward into the clinic. INSIGHTS: Thinking about the clinical development of a drug for HD, are there any specific challenges in HD that are different to other conditions? BENNETT: I think there are two separate endpoints that we would concentrate on: deciding which drugs make more sense for early clinical programs to show proof of concept, and then which clinical measures would make the most sense for demonstrating that the drug is clinically effective. INSIGHTS: What do you envision would be the clinical population to which the drug would first be given, in terms of development of clinical HD symptoms? BENNETT: Since this drug is delivered by intrathecal dosing, we would likely start clinical trials in currently symptomatic patients rather than in volunteers who are in the pre-sympotmatic stages of HD. The question is just how advanced would the disease be in patients we would be comfortable in selecting for dosing. INSIGHTS: You mentioned dosing. How frequently do you think an ASO therapy would need to be dosed in a disease like HD? BENNETT: Based on our work in other programs, I hypothesize that at a minimum, it would be an intrathecal injection every three months. INSIGHTS: In those symptomatic patients, what clinical endpoints do you think are best for consideration? BENNETT: I think we have to build in cognitive changes, maybe imaging measures, and then some motor function measures as well. A big challenge for the project right now is identifying clinical measures that correlate with reduction in intracellular levels of mutant huntingtin. INSIGHTS: Are there any safety concerns? BENNETT: At this point in the program it’s too early to say. We haven’t identified any safety concerns with our preclinical studies, and it’s something that we are investigating in our toxicology studies. The purpose of those studies is to help identify if there are any safety concerns that we would need to monitor in the clinic. However, ASO therapies have been very well tolerated in our amyotrophic lateral sclerosis drug and our spinal muscular atrophy drug. In our clinical programs we see a relatively low incidence of spinal headaches in patients dosed intrathecally. These events are more procedure-related than drug-related. INSIGHTS: What message do you have for HD patients about the promise of ASOs for HD? BENNETT: Again, it’s important to keep in mind is this is one of many therapies being developed by companies right now. I would not look at any of these therapies as a cure for HD. They may either slow down the process of the disease or mitigate some of the symptoms that patients experience. Ultimately, Isis can develop one of several drugs that will make a big impact in the lives of individuals with HD. INSIGHTS: How can the research community help you and Isis develop therapies for HD? BENNETT: One of the big challenges that we and other companies developing therapies for HD face is finding early, measurable clinical biomarkers that correlate with the effects of the drug. I think results from natural history studies will be important for developing drugs and helping us design our clinical trials. We’re excited to move these therapies forward. We would like to thank CHDI, the Hereditary Disease Foundation, and the Huntington’s Disease Society of America for their support of our efforts. Huntington disease (HD) is caused by a single gene mutation and is therefore a good candidate for therapeutic gene silencing. While many potential HD therapeutic agents focus on ameliorating toxic effects following intracellular production of the mutant huntingtin protein (mHtt), gene silencing would disrupt the production of mHtt and could be the ultimate disease-modifying therapy for HD by preventing the toxic effects of mHtt. This article highlights some promising data from gene silencing and potential translational hurdles. Gene silencing offers many potential benefits. First, gene silencing does not require investigators to determine the exact mechanism by which mHtt causes disease. In addition, with gene silencing, the toxic effects of mHtt would be countered by the disruption of intracellular mHtt production. Finally, gene silencing therapies would remove any toxicity associated with mutant mRNA. Figure: Simplified mechanistic view of antisense oligonucleotide drugs. The use of antisense oligonucleotides (ASOs) is a promising approach to gene silencing. ASOs are small single-stranded pieces of DNA that bind via complementary base-pair binding to the intracellular mRNA transcript (Figure). 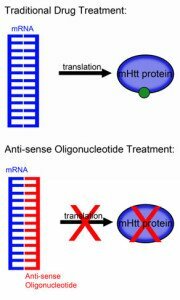 In HD, ASOs prevent the transcription of mHtt. ASOs have been found to reduce a number of different mHtt-associated abnormalities in animal models of HD1. A recent study showed that infusion of ASOs targeting mHtt into the brains of mouse models of HD could alleviate motor symptoms, prevent brain loss and increase survival rates1. The benefits of the ASO treatment persisted after the production of mHtt had returned to pre-treatment levels. This effect, termed a “huntingtin holiday” by Carl Johnson of the Hereditary Disease Foundation, suggests that it may be possible for relatively less frequent ASO treatments to give lasting benefit for patients. The study also found that infusion of ASOs into the cerebrospinal fluid delivered the ASOs to the brain and lowered mHtt mRNA levels in most brain regions in non-human primates. This method of delivery could be safer for human patients than direct intracerebral injection and may affect a wider range of brain tissues. This second point is significant because many research groups have shown that HD neuronal pathology is not limited to the striatum. Despite the promise of gene silencing, challenges remain. First, the effect of reducing the levels of normal Htt, along with mHtt, is unclear. The majority of people with HD have one copy of the normal Htt gene and one copy of the mHtt gene. Htt is known to be essential in early development2, 3 and may be necessary for the survival of particular adult neurons4. Even though reducing Htt levels appears to be well tolerated in rodents and nonhuman primates, 5, 6, 7 it is possible that the human brain is more sensitive than animal brains to reduced Htt levels. One solution may be to target only the mutant HD gene for gene silencing, using ASOs or RNAi approaches. Several groups have utilized different approaches, including taking advantage of slight structural differences between mHtt mRNA and Htt mRNA8, or targeting mutations (polymorphisms) other than the expanded CAG repeat in the HD gene9. Additionally, other genes in the human genome also contain CAG repeats, but specifically targeting the mutant gene also appears to reduce “off-target” effects. Delivery is another potential roadblock for gene silencing techniques. It is not known whether spinal infusions will achieve the same widespread distribution of ASO in the much larger human brain, as that achieved in the brain of rodent and non-human primates. Convection enhanced delivery (CED)10 is a potential delivery approach that uses high pressure to deliver molecules deep into the brain. CED requires the insertion of tubes through the skull and into the brain, after which a pump is attached. This approach is obviously challenging from the patient’s perspective. It may also prove difficult for surgeons to accurately place tubes into the brains of symptomatic HD patients, who typically suffer significant loss of brain volume. The optimal timing and treatment regimen for HD patients is also not known. Studies suggest that relatively early treatments are more beneficial; however, tracking the benefits of a treatment administered before the appearance of symptoms remains difficult. Groups worldwide are working to establish more quantifiable indicators of early symptoms of HD. Further, even though ASO treatment in animal models reduced symptoms for longer than expected, human patients must deal with the disease for decades, and it is not known how often a “booster” might be needed for continued benefit. A number of clinical trials utilizing ASOs have been completed, and more are currently underway. Previous trials have used ASOs for the treatment of various cancers, asthma, arthritis, Duchenne muscular dystrophy, Crohn’s disease, heart disease and familial amyotrophic lateral sclerosis (ALS). The ALS clinical trial is of particular interest because it uses spinal infusion for the delivery of ASOs. Phase I of this clinical trial was completed in early 2012, and its results may provide information on the safety of ASO spinal infusion. Many different gene silencing techniques are being used to lower mHtt expression in animal models of HD. RNA-based strategies, including short-hairpin RNAs (shRNA)11; small interfering RNAs (siRNA)2; and microRNAs (miRNA)3, also show promise in alleviating mHtt-mediated phenotypes. Some of these strategies are moving toward human clinical trials. Despite the challenges of gene silencing, ASO therapy and other mHtt knockdown approaches for HD remain exciting avenues of treatment. Each new development brings us closer to the discovery of disease-modifying therapy for HD. 1 Kordasiewicz HB, Stanek LM, Wancewicz EV, et al. Sustained Therapeutic Reversal of Huntington’s Disease by Transient Repression of Huntingtin Synthesis. Neuron2012 Jun 21;74(6): 1031-44. 2 Nasir J, Floresco SB, O’Kusky JR, et al. Targeted disruption of the Huntington’s disease gene results in embryonic lethality and behavioral and morphological changes in heterozygotes. Cell. 1995 Jun;81(5):811-23. 3 Zeitlin S, Liu JP, Chapman DL, et al. Increased apoptosis and early embryonic lethality in mice nullizygous for the Huntington’s disease gene homologue. Nature Gen. 1995 Oct; 11(2):155-63. 4 Dragatsis I, Levine MS, Zeitlin S. Inactivation of Hdh in the brain and testis results in progressive neurodegeneration and sterility in mice. Nature Gen. 2000 Nov;26(3):300-6. 5 Boudreau RL, McBride JL, Martins I, et al. Nonallele-specific silencing of mutant and wild-type huntingtin demonstrates therapeutic efficacy in Huntington’s disease mice. Molecula therapy. 2009 Jun;17(6):1053-63. 6 Grondin R, Kaytor MD, Ai Y,et al. Six-month partial suppression of Huntingtin is well tolerated in the adult rhesus striatum. Brain. 2012 April;135(4):1197-209. 7 McBride JL, Pitzer MR, Boudreau RL, et al. Preclinical safety of RNAi-mediated HTT suppression in the rhesus macaque as a potential therapy for Huntington’s disease. Molecular therapy. 2011 Dec;19(12):2152-62. 8 Gagnon KT, Pendergraff HM, Deleavey GF, et al. Alleleselective inhibition of mutant huntingtin expression with antisense oligonucleotides targeting the expanded CAG repeat. Biochemistry. 2010 Nov 30;49(47):10166-78. 9 Carroll JB, Warby SC, Southwell AL, et al. Potent and selective antisense oligonucleotides targeting single-nucleotide polymorphisms in the Huntington disease gene/allele-specific silencing of mutant huntingtin. Mol Ther 2011 Dec;19(12): 2178-85. 10 Stiles DK, Zhang Z, Ge P, Nelson B, et al. Widespread suppression of huntingtin with convection-enhanced delivery of siRNA. Exper Neurol 2012; 233(1):463-71. 11 Harper SQ, Staber PD, He X, et al. RNA interference improves motor and neuropathological abnormalities in a Huntington’s disease mouse model. Proc Nat Acad Sc USA. 2005 Apr;102(16): 5820-5. 12 DiFiglia M, Sena-Esteves M, Chase K, et al. Therapeutic silencing of mutant huntingtin with siRNA attenuates striatal and cortical neuropathology and behavioral deficits. Proc Nat Acad Sc USA. 2007 Oct; 104(43):17204-9. 13 McBride JL, Boudreau RL, Harper SQ, et al. Artificial miRNAs mitigate shRNA-mediated toxicity in the brain: implications for the therapeutic development of RNAi. Proc Nat Acad Sc USA. 2008 Apr;105(15):5868-73. In the past year, researchers have published on the use of stem cells to model Huntington disease (HD) and on investigations of stem cell use as a treatment for HD. Sadan and colleagues1 induced mesenchymal stem cells into neurotrophic factor– secreting (NTF) cells, then transplanted the NTF cells into rats that had striatal lesions induced by quinolinic acid (QA). The NTF cells, whether derived from an HD patient or a control, survived transplantation and maintained an NTF-secreting phenotype leading to improved striatal volume and behavioural phenotypes. Ma and colleagues2 showed that human embryonic stem cells can be directed into an enriched population of GABA medium spiny neurons. When GABA neurons were implanted into the striatum of a QA lesion mouse model, they maintained functionality, leading to phenotypic improvements in the mice. An and colleagues3 corrected the genetic mutation in HD patient–derived induced pluripotent stem cell (iPSC) lines using homologous recombination, and found this also corrected many of the aberrant phenotypes associated with neural stem cells (NSC) derived from these iPSC lines. Genetically corrected NSCs were able to populate the striatum of the R6/2 mouse post-transplantation. Patient-specific cell replacement therapy with corrected mutant huntingtin (mHTT) CAG lengths may be feasible in the future. The HD iPSC consortium4 generated and studied 14 iPSC lines from HD patients and controls. Investigators in different labs found clear and reproducible phenotypes associated with the disease-causing mutation, consistent in multiple lineages. These cell lines may be used in future assay development and screening in HD drug discovery efforts. There is a vast breadth of recently published basic research in HD. Dong and colleagues5 recently identified additional post-translational modifications in huntingtin. They coupled tandem affinity purification and 2D nano-LC mass spectrometry and found novel phosphorylation sites at serines 431 and 432. Phosphorylation at these sites was specific to polyglutamine-expanded huntingtin when N-terminal fragments were overexpressed in 293 cells. Milnerwood and colleagues6 developed a new protocol for studying excitatory transmission onto GABAergic medium spiny neurons, with specific focus on the effects of mutant huntingtin on the cortico-striatal pathway. Using striatal and cortical co-cultures, NMDAR-induced cell death increased in cultures derived from YAC128 mice. The researchers further showed this is associated with the misregulation of phosphorylated cAMP response element binding protein (CREB) leading to decreased transcription of pro-survival factors. The dysfunction was significantly reduced using specific NMDAR subunit inhibitors. Kordasiewicz and colleagues7 used transiently administered antisense oligonucleotides (ASOs), designed to suppress the expression of huntingtin, in HD mouse models and in non-human primates. In mouse models, ASOs were administered into the lateral ventricle and led to specific knockdown of the mHtt transgene and some phenotypic reversal. The knockdown was sustained in both animal models for up to three months post treatment, suggesting that ASOs may provide a clinically relevant strategy for combating HD. Important studies reviewing and analyzing previously obtained clinical data give new insights into disease mechanisms and assess current treatments for HD. Ji and colleagues8 conducted a population-based study assessing the incidence of cancer in Swedish patients with HD and other neurological diseases. The standardized incidence of cancer was significantly lower in patients with polyglutamine disease. The largest difference (0.47) was associated with HD gene carriers. Polyglutamine disease seems to be protective against benign and metastatic cancer. Armstrong and Miyasaki9 looked at the data available for current pharmacological options for treating chorea. Their analysis showed that tetrabenazine, the only drug approved by the FDA specifically for the treatment of chorea, remains the best performing drug at a dose of 100 mg/day. Amantadine and rizuole give modest benefit. It is important to have multiple effective drugs available for HD patients due to tetrabenazine’s potential adverse effects and the necessary close monitoring of patients who receive the drug. Unschuld and colleagues10 examined brain metabolite alterations, using magnetic resonance spectroscopy, in prodromal HD gene carriers with no gross brain morphological changes, and compared the metabolite alterations to controls. Eleven metabolites had decreases in Nacetyl aspartate and glutamate levels associated with prodromal HD. Future studies are needed to determine the utility of these results as longitudinal biomarkers for HD disease progression. 1 Sadan O, Shemesh N, Barzilay R, et al. Mesenchymal stem cells induced to secrete neurotrophic factors attenuate quinolinic acid toxicity: a potential therapy for Huntington’s disease. Experimental neurology. 2012 Apr;234(2):417-27. 2 Ma L, Hu B, Liu Y, et al. Human embryonic stem cell-derived GABA neurons correct locomotion deficits in quinolinic acidlesioned mice. Cell stem cell. 2012 Apr;10(4):455-64. 3 An MC, Zhang N, Scott G, et al. Genetic correction of Huntington’s disease phenotypes in induced pluripotent stem cells. Cell stem cell. 2012 Aug;11(2):253-63. 5 Dong G, Callegari E, Gloeckner CJ, et al. Mass spectrometric identification of novel posttranslational modification sites in Huntingtin. Proteomics. 2012 Jun;12(12):2060-4. 6 Milnerwood AJ, Kaufman AM, Sepers MD, et al. Mitigation of augmented extrasynaptic NMDAR signaling and apoptosis in cortico-striatal co-cultures from Huntington’s disease mice. Neurobiol Dis. 2012 Oct;48(1):40-51. 7 Kordasiewicz HB, Stanek LM, Wancewicz EV, et al. Sustained therapeutic reversal of Huntington’s disease by transient repression of huntingtin synthesis. Neuron. 2012 Jun; 74(6):1031-44. 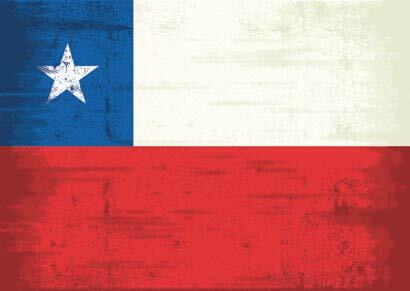 8 Ji J, Sundquist K, Sundquist J. Cancer incidence in patients with polyglutamine diseases: a population-based study in Sweden. Lancet Oncol. 2012 Jun;13(6):642-8. 9 Armstrong MJ, Miyasaki JM. Evidence-based guideline: Pharmacologic treatment of chorea in Huntington disease: Report of the Guideline Development Subcommittee of the American Academy of Neurology. Neurology2012 Aug 7;79(6):597-603. 10 Unschuld PG, Edden RA, Carass A, et al. Brain metabolite alterations and cognitive dysfunction in early Huntington’s disease. Movement Disorders. 2012 Jun;27(7):895-902.